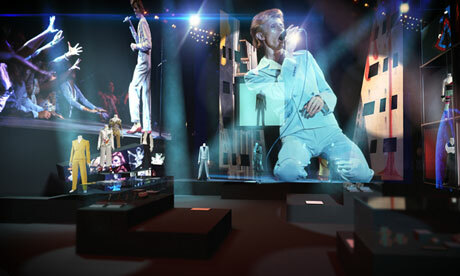 There are handwritten lyrics from throughout his career and stage designs for most of his major tours from the Diamond Dogs US tour in 1974 to the Outside Tour of 1995 via 1983’s Serious Moonlight. 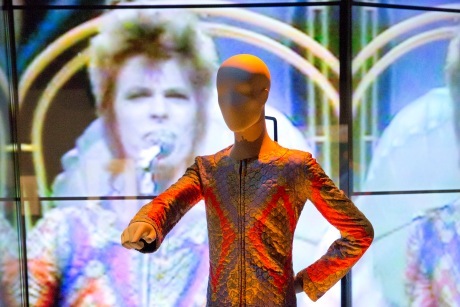 The costumes range from those worn in all the aforementioned tours along with all the classic Ziggy outfits; including the classic one worn on that famous Top of the Pops performance of “Starman” from way back in July 1972. The whole thing is incredibly arranged, directed and curated. The interactive audio headphones which trigger when you are near a particular exhibit are brilliant. 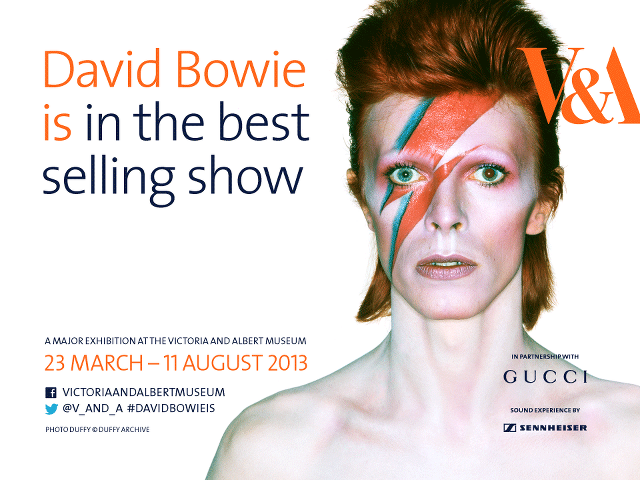 I feel sure that Bowie has played a big part in the whole thing. There are some video shots and audio that have never legally seen the light of day before. I particularly loved the version of “Sweet Thing” from the 1974 US tour. 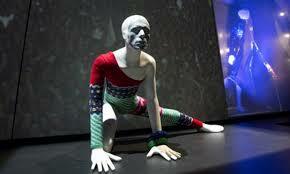 There was also an excellent mock-up 3D stage set design for those shows. Those were possibly my two favourite things from the day. Bowie has always been an artist and not just a rock star and this is clearly shown by the volume of his own paintings and sketches on display. Including a series of storyboard pictures for a ‘Diamond Dogs’ film that never got made. There were also some detailed notes showing that he had definitely intended for 1995’s ‘1: Outside’ album to be the first in a trilogy that would have ended in 1999. I wonder if he’ll ever make those other two? Sadly I think not. His set of oblique strategy cards used in the studio by Brian Eno are there along with the synthesiser used on the Berlin albums. 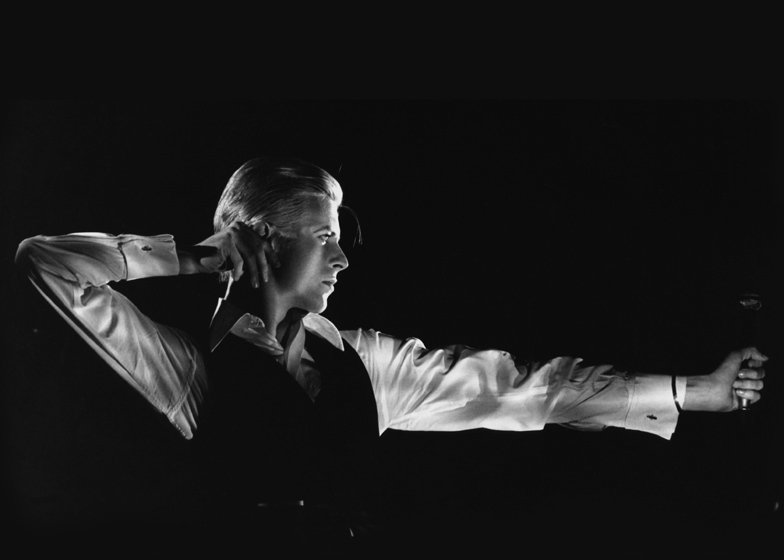 Another room is dedicated to showing clips from his best known films including; ‘The Man Who Fell To Earth‘, ‘Labyrinth’, ‘The Prestige’, ‘Basquiat’, ‘Merry Christmas Mr Lawrence‘ and ‘Absolute Beginners‘. There is also a rare public outing for a clip from his 1967 black and white short ‘The Image’ (as a bit of a Bowie anorak I already have this on DVD).. 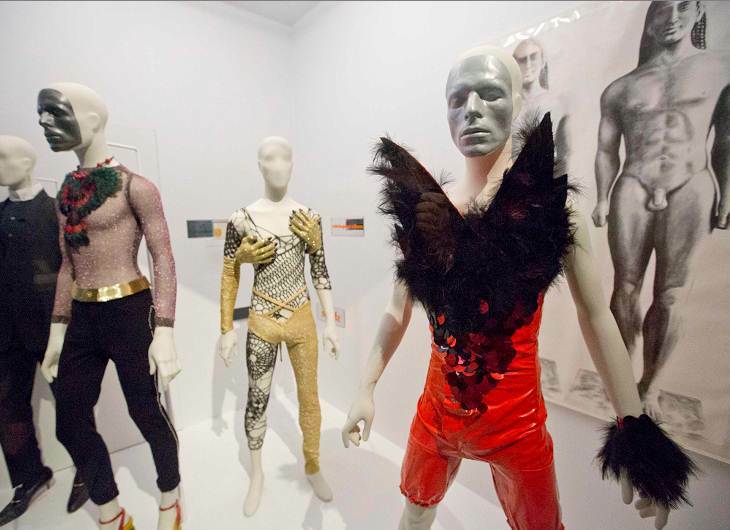 Costumes and props from some of these films are also on show. 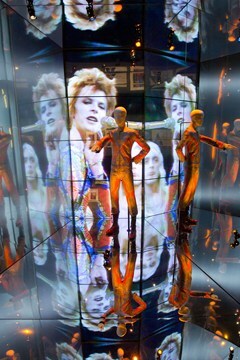 The Bowie items in the shop are quite tasteful too, in the main anyway! I had previously bought the David Bowie Is hardback book and today I bought the Ziggyology book along with the set of postcards that relate to the exhibition. Obviously I needed more stuff to continue the pimping of my man bag so I bought a pin badge emblazoned with the phrase ‘David Bowie Is turning us all into voyeurs’. 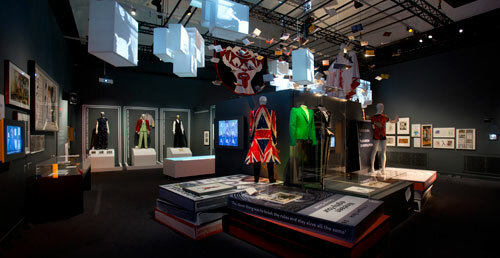 I was excited before the exhibition and that was well justified excitement in my opinion. It exceeded my very high expectations by a very long way. If you have been or are planning to go I’d love to hear your thoughts. If you are unable to attend then you have missed something really special. Now let me sign off with a few Bowie classics.